Here we are in the middle of another busy wedding season! I love my work as a celebrant. It is just the best job! 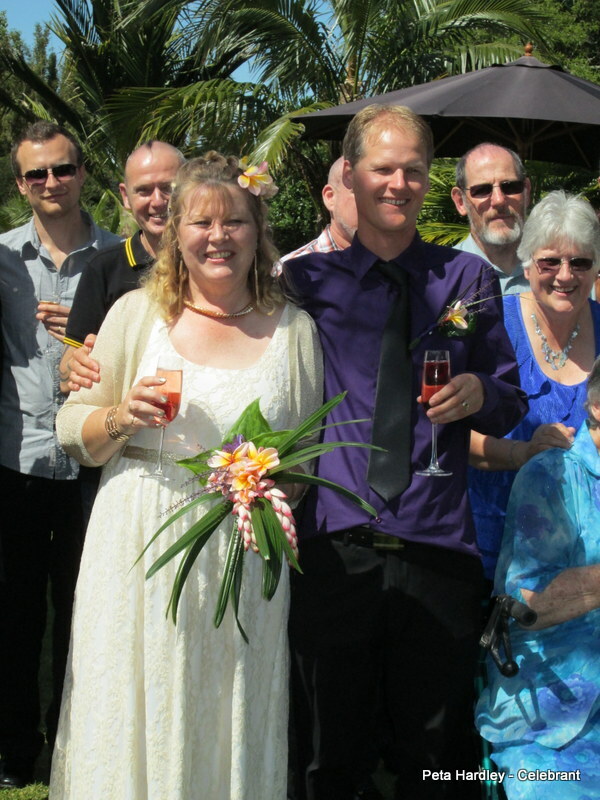 Lynn and Michael married at Landsendt – That tropical oasis in Oratia. 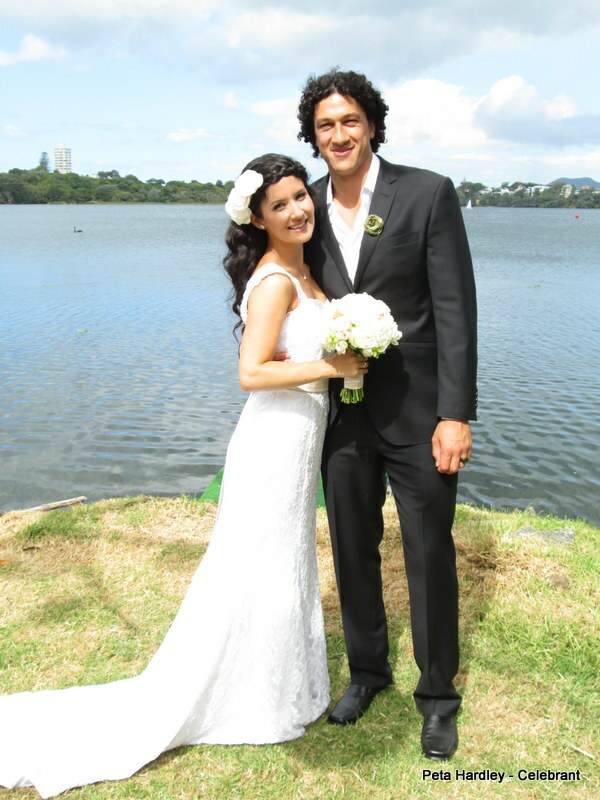 They had such a fun ceremony which concluded when they danced down the aisle! 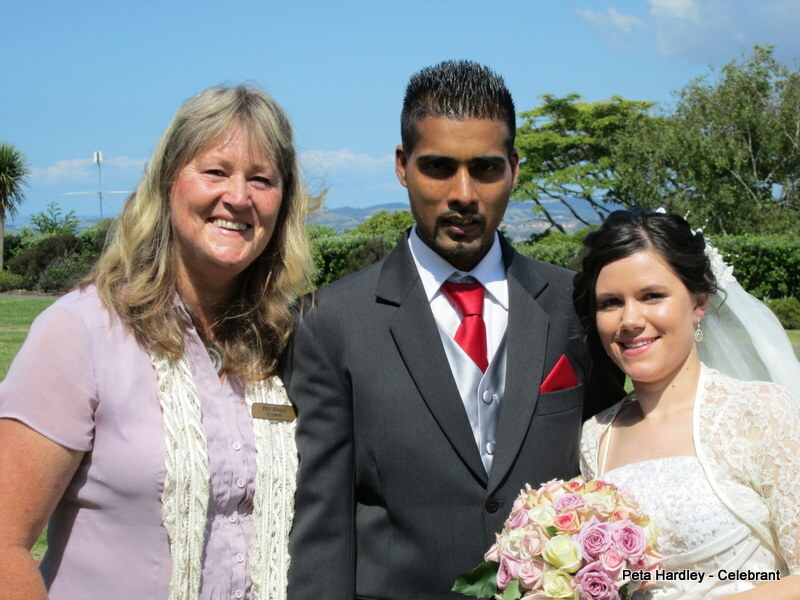 Hannah and Shah (below) had the most incredibly beautiful summer’s day for their intimate wedding ceremony at a Howick reserve close to their home. Hardly a cloud in the sky. Bridget and Johnny really surprised their friends when they announced the BBQ they were enjoying at their home, had suddenly become a wedding! The guests were understandably shocked but also extremely happy and supportive. 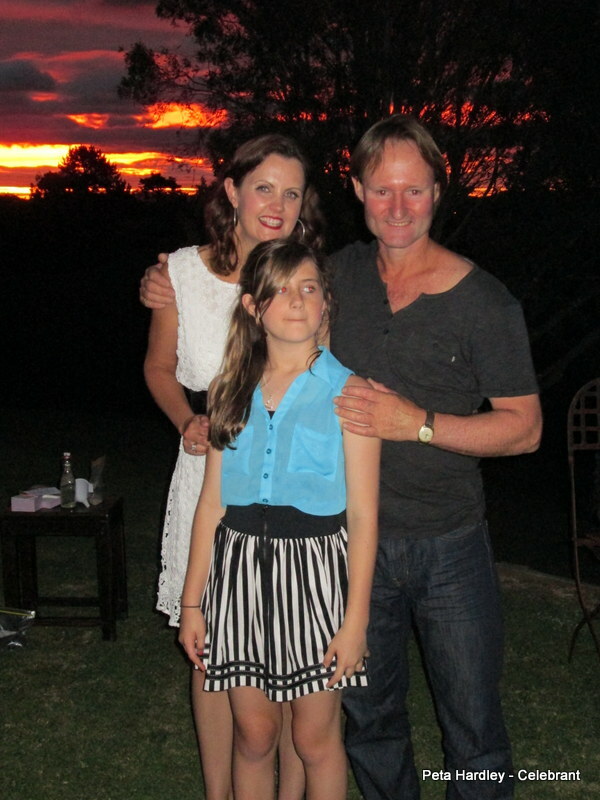 The backdrop was an incredible sunset. 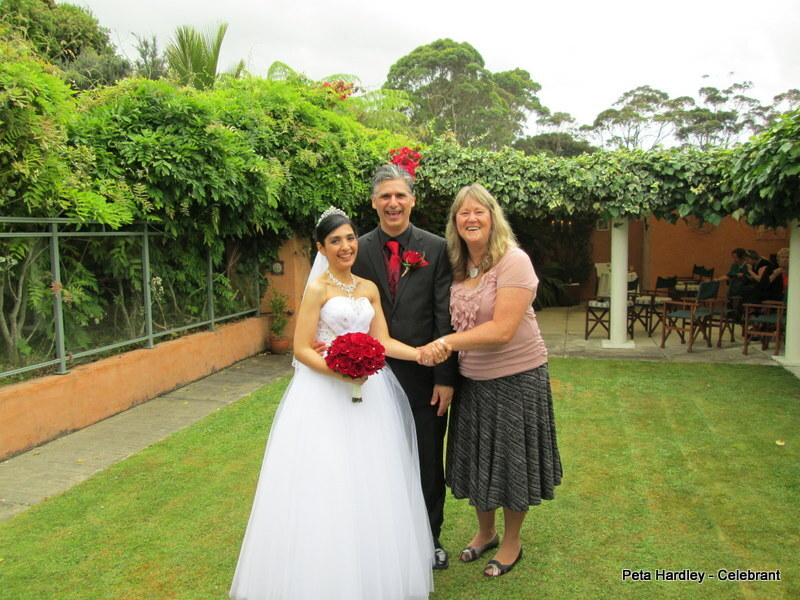 Mahnaz and Paul have an incredible story of a developing love a world apart. 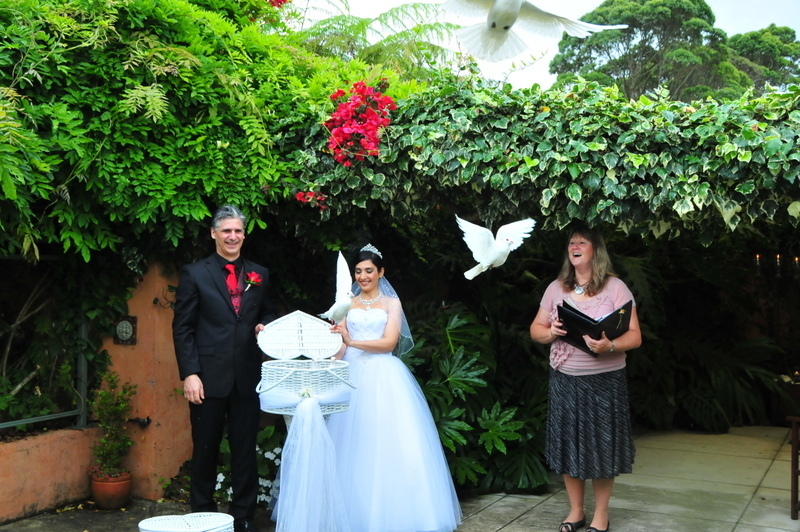 They were finally able to share their Vows with a few special friends, at my home ‘Casabella’. Claire and Tuahu married at Tu’s grandmother’s home, on the shore of lake Pupuke. Being another gorgeous sunny day, they even had fans for all the guests – a very welcome idea. The ceremony ended with a haka which sent shivers down my spine. 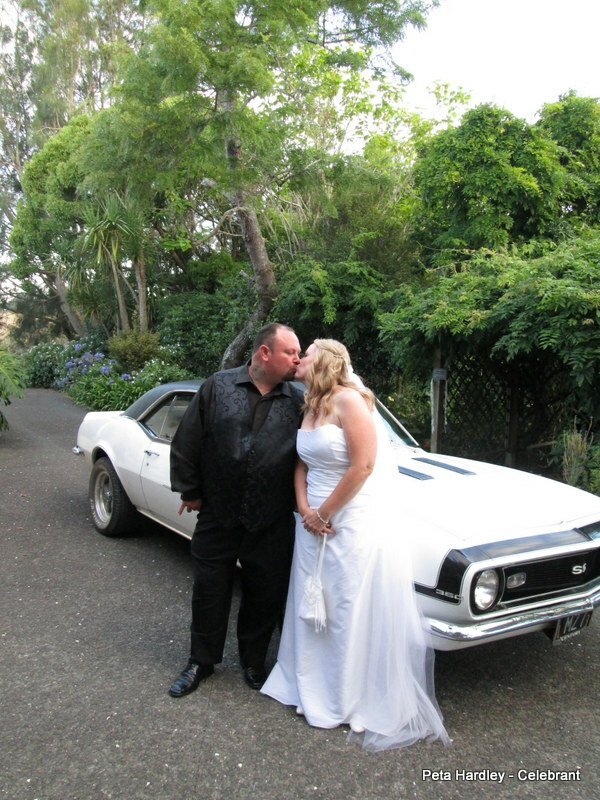 Jane and Paul’s special day was even more special, as they married on Jane’s birthday, here at my home, ‘Casabella’. Double reason for a great celebration! 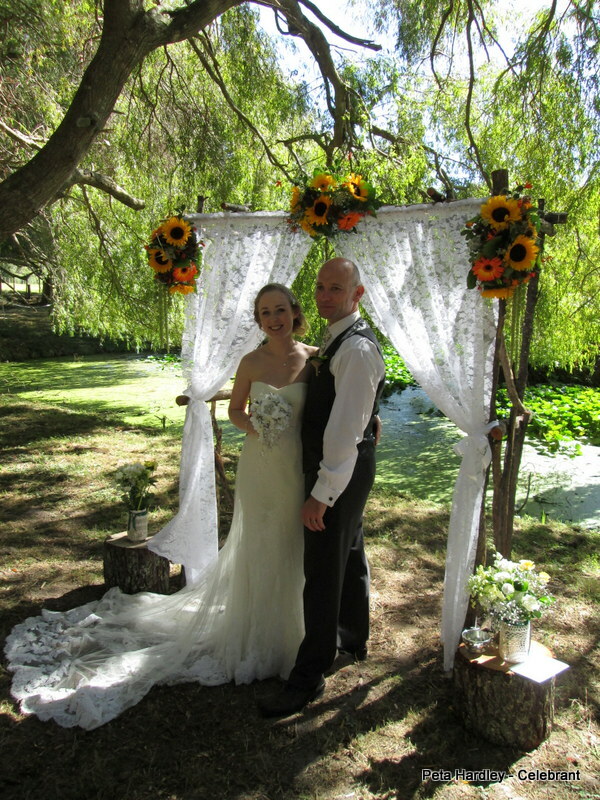 Nikki and Kieron were positively glowing as they enjoyed a fabulous day with family and friends at lovely Markovina in Kumeu. 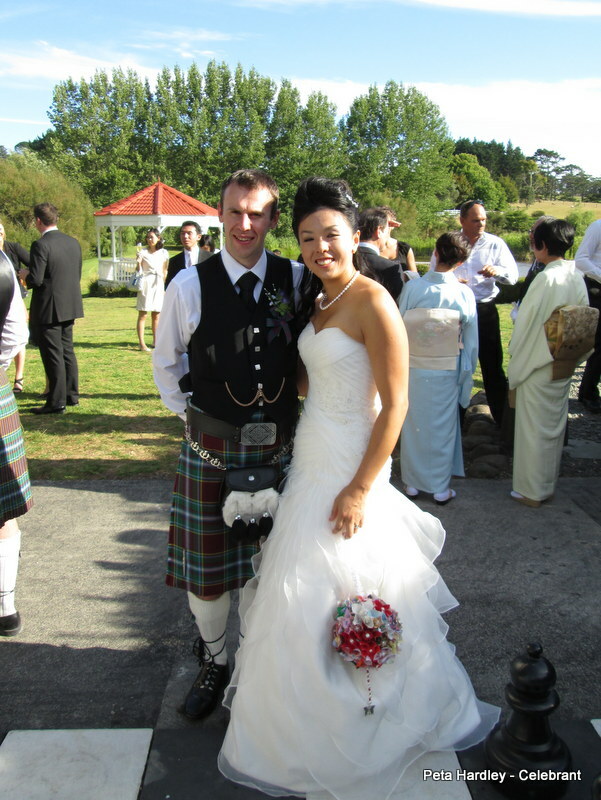 Hannah and Paul arrived from England just a week before their big day, held in Kumeu. 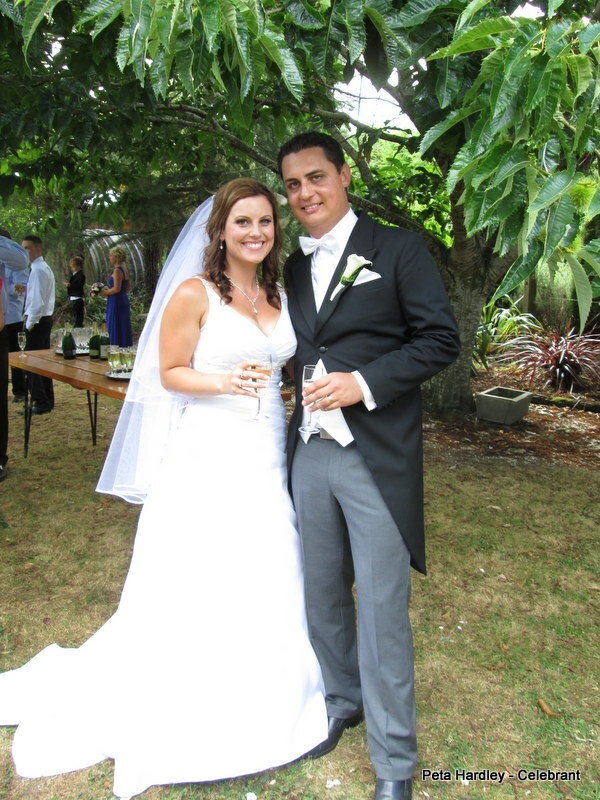 The Auckland weather played it’s part too, to make the prefect romantic summer wedding. 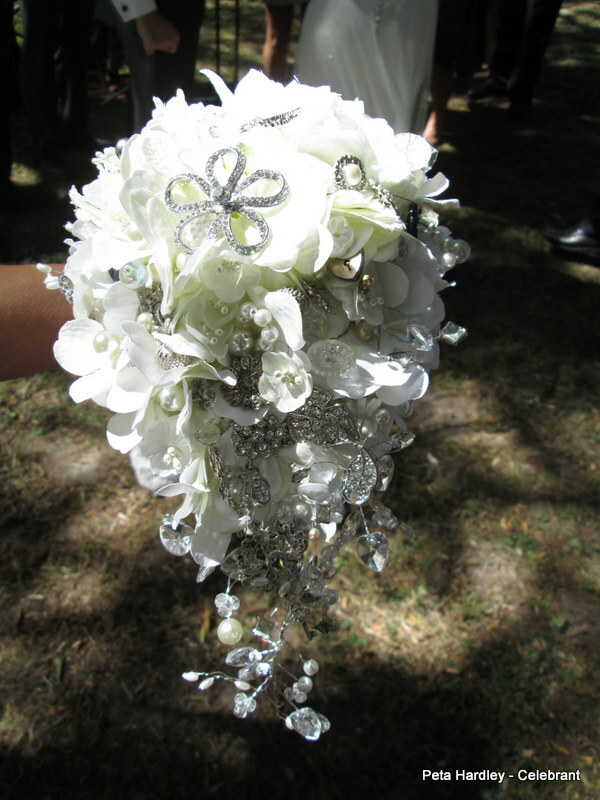 Hannah’s Mum Lynda made her the most exquisite bouquet, complete with sparklingmomentos from Hannah’s past and also family members. Priceless! I had to take a picture of their amazing cake. 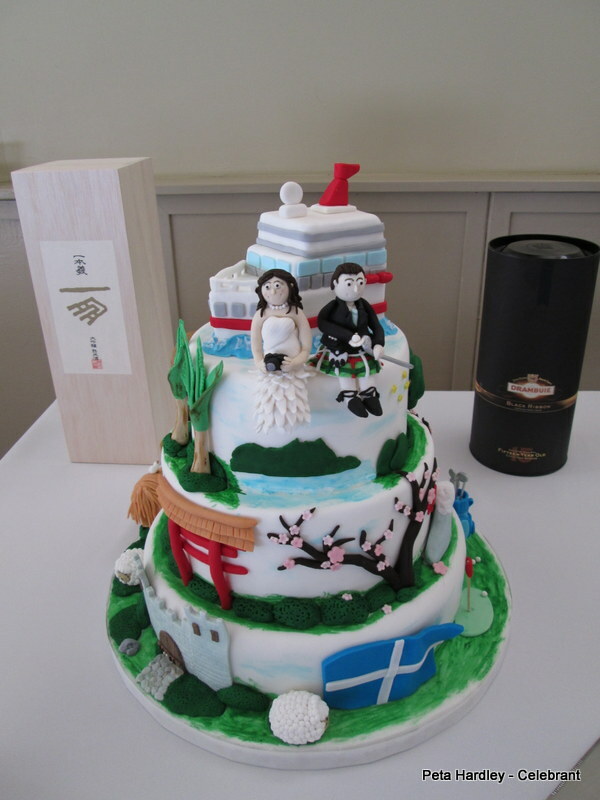 It includes symbols of Japan, Scotland and New Zealand, along with a cruise ship on top, which is where they met. Aewsome! Congratultions to all these wonderful couples! 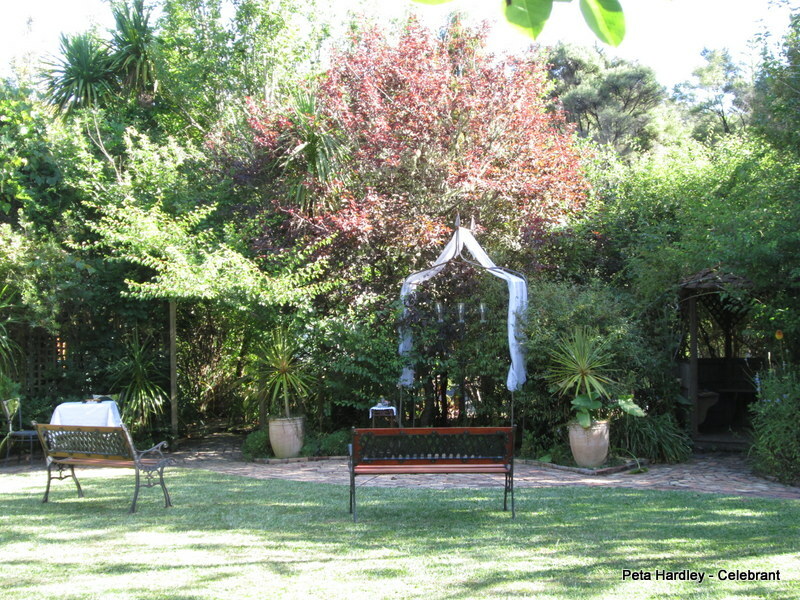 And finally just a few snaps of ‘Casabella’, – my home and a great place for an intimate ceremony. 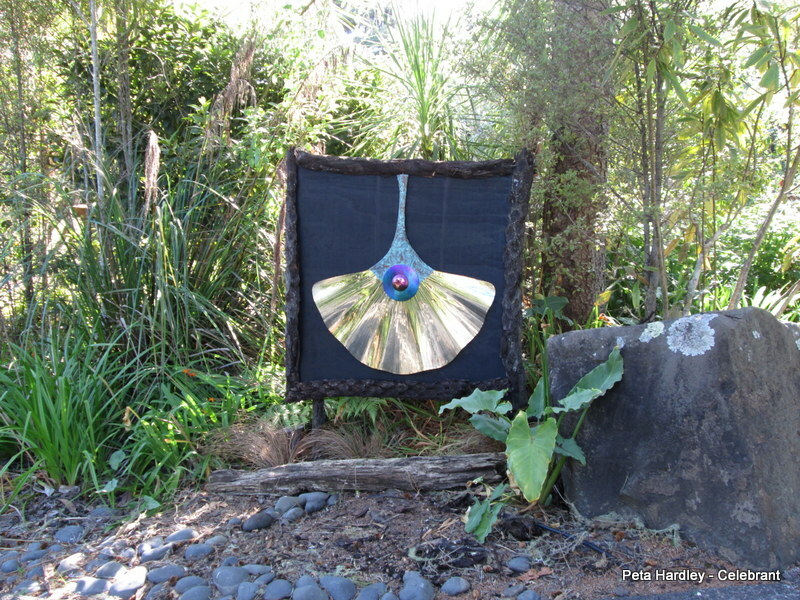 A new garden art peice by glass artist extrodinare Darryl Fagence, now graces my garden. I love Ginkgos! Enjoy the great summer we’re having!